You love to hate him, whether as the self-proclaimed ‘I’m Bad Man’ in Ram Lakhan or the vicious Chappan Tikli in Sir. In his reel life, he has assumed various avatars as Tyson and Kesariya Vilayati in some films, where the names were as outrageous as his on screen antics. But this baddie of Indian cinema has added to his repertoire numerous crossover films; international projects in Italy, France, Germany and UK and seven commercial films in Hollywood including The Second Jungle Book and In The Shadows Of The Cobra. 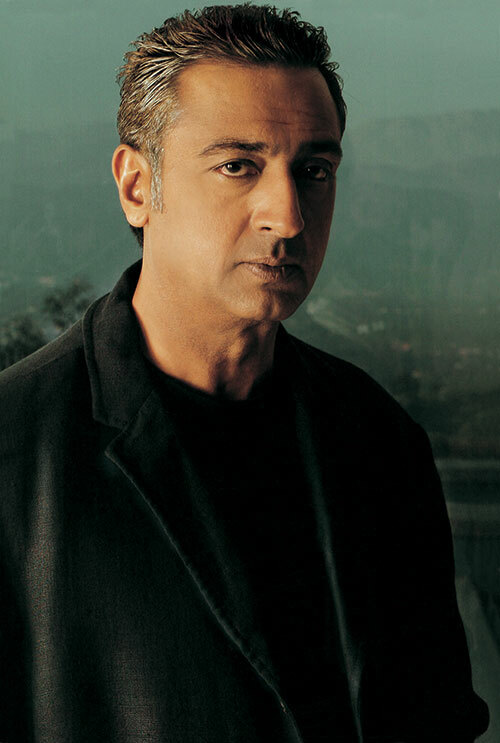 Currently in the news for being a strong contender for a role in the forthcoming Bond film, Casino Royale, Gulshan Grover discusses his take on being the good, bad guy. Gulshan Grover was not bad to begin with. In fact, wasn’t he the kid who was neighbours’ envy, parents’ pride? Yes, I was this good kid who always went to school on time, did his homework without being told, whose uniform was never dirty, whose marks were excellent. In fact I got a first class in my B.Com. I’d been doing professional theatre in Delhi and decided that acting was what I wanted to do. My parents were shocked when, instead of doing my M.Com, I told them I wanted to go to Mumbai to act. But they were supportive. After all, I was this exemplary son who had never put a foot wrong. So they were sure I knew what I was doing. With your career going strong, why did you suddenly veer towards Hollywood? Call this the second phase of my career. I was the top most villain here and did five world tours with Shah Rukh Khan. During one of the shows, I was in LA, when this guy came up to me and said, ‘I love your shifty eyes!’ He was Duncan McLachlan, the director of The Second Jungle Book and he offered me the role of the main villain, Buldeo – Mowgli’s wicked uncle. So hasn’t the fear of failure ever deterred you? Our stars are terrified to kick their security, to test new waters. But I’ve always wanted to go beyond as a professional. What will happen if I fall? I will be hurt and others will laugh at me. I respect both these feelings. I have a body of international and crossover commercial projects second to none. How does Hollywood treat an Indian actor? They don’t know you and they don’t care! What matters to them is your talent and your professionalism. I remember I was shooting in LA for Tail Sting with this Italian-American actor. After almost a week of shooting together he comes to me all excited and says, ‘Man, I didn’t know you were this big star from India.’ Apparently, he had dined at an Indian restaurant and mentioned there that he was acting with this fellow from India called Gulshan Grover. The hotel staff was thrilled and told him that I was this big villain in Indian films – and that if he got me to their restaurant all his meals would be free!